I’d like to think that if there was a Youtube video of me frying these Brussels sprouts, it would have great potential of going viral. 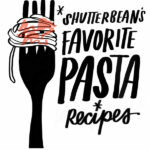 Imagine a short clip of me trying to take pictures of this recipe in my kitchen. 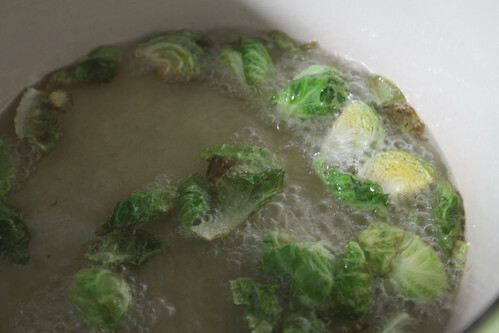 You’d see me set the camera down and then slowly place Brussels sprouts in the hot bubbling oil. You’d immediately laugh at the look on my face when I realize sprouts are prone to making the oil splatter ALL OVER MY KITCHEN. I shout out a few expletives and then I do some stealthy maneuver into my kitchen island to get the oil splatter shield. Then I run like a maniac into the pantry to grab my apron while slipping on the oily kitchen floor. In the last few seconds of the video, I step back, watch the frying process and laugh at myself for this absolutely ridiculous moment. It’s really a shame that this video doesn’t exist. It really could have been the next Chocolate Rain. Say hello to one of the best things that came out of my kitchen in 2011. I know that’s kind of a bold claim, but I can’t remember the last time I’ve been so smitten with something I’ve made. I’ve ordered fried Brussels sprouts in restaurants several times, but never thought to make them on my own. No longer will I be shelling out $8-10 for a teeny side dish of Brussels sprouts. Nope! The sweet/spicy citrus dressing on this sprouts is TO DIE for! The outside of the sprouts are crunchy while the insides are super tender. If Casey wasn’t home when I made them, I could have easily polished off this entire batch. Truth! From this point forward, we will be referring to the Brussels sprouts as b-sprouts. Say hello to the flavor makers. Hello, flavor makers! Trim the ends and quarter the b-sprouts. Add the lime in. Done! Heat up the oil. Add a b-sprout leaf in the oil test how hot it is. Slowly place the b-sprouts in. 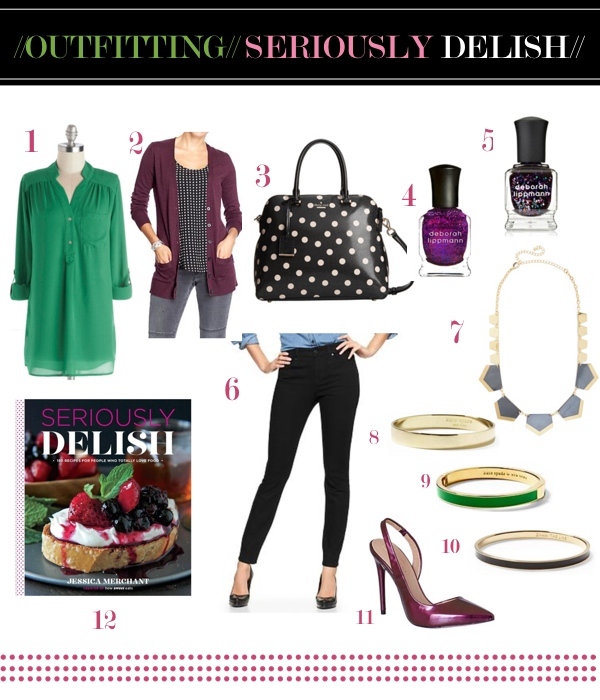 Top with your splatter guard. Don’t take picture of this process. It’s dangerous. I risked my life to take this picture. Haha. Not really. Well, kinda. 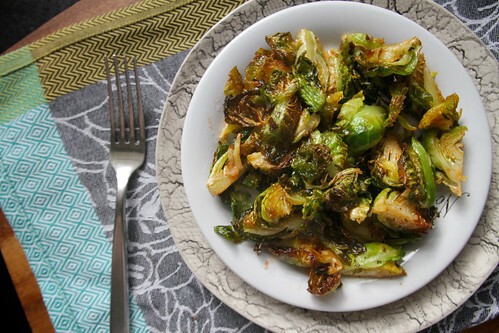 Place the fried b-sprouts on a paper towel lined plate. Fry in 3 batches. 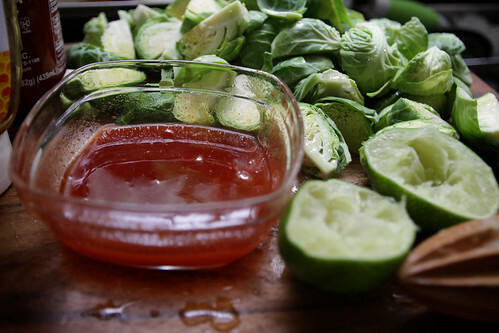 After you drained the b-sprouts, place them in a bowl and toss them with dressing. 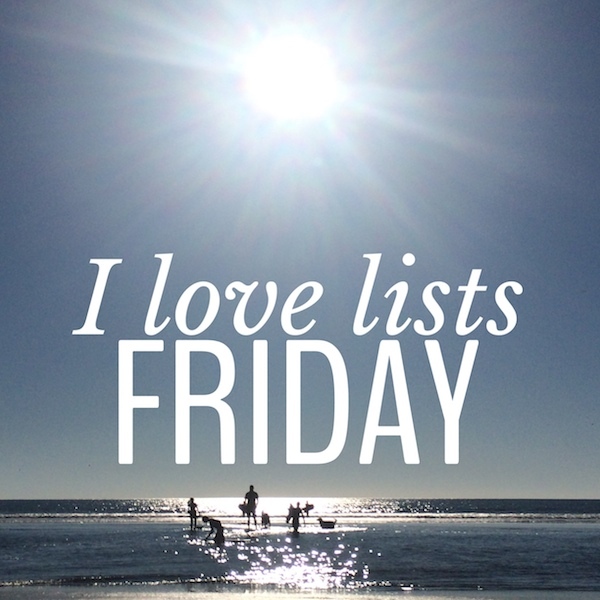 Ahhh yeah. Look at those b-sprouts. Trim the ends of the sprouts and cut them into quarters. 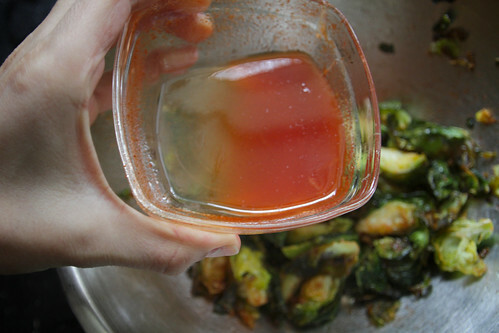 In a small bowl, mix the sriracha, honey and lime juice together and set aside. Fill a large heavy pot with about 2 inches of oil. Heat pot over medium heat. 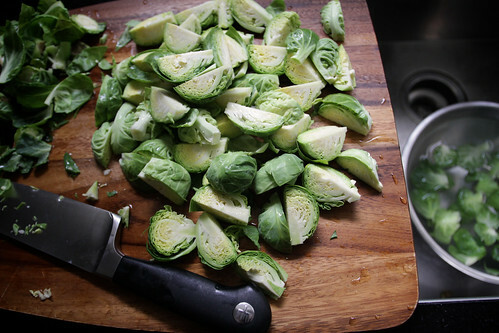 To test the heat, add a Brussels sprout leaf into the oil and it should crisp and sizzle immediately. 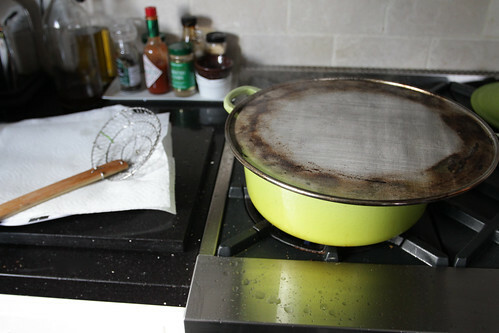 Fry the sprouts in three batches, making sure to use a screen to protect you from the oil splattering. 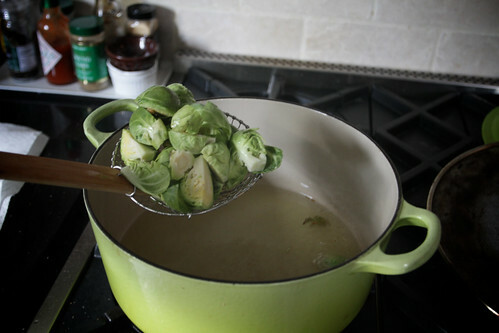 Cook the sprouts for 30 seconds to about 1 1/2 minutes or until sprouts are nicely browned. 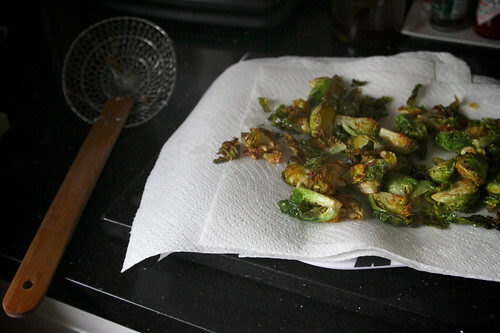 Drain fried sprouts on paper towels and continuing frying the rest of the batch. 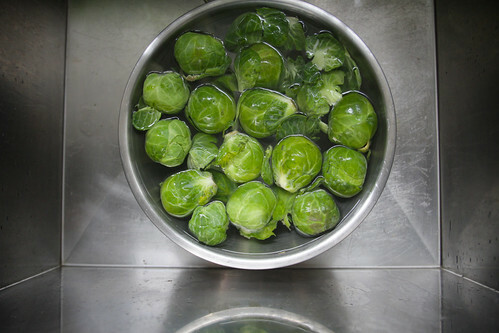 Once the sprouts are fried, toss them in a bowl with salt to taste. 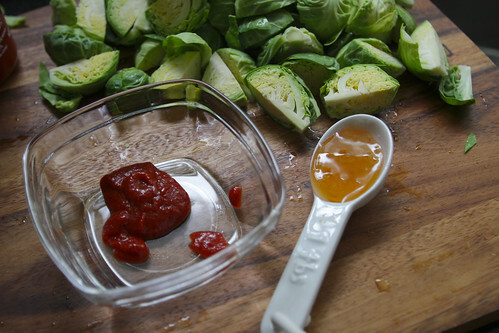 Drizzle half of the dressing over the the Brussels sprouts and gently stir. 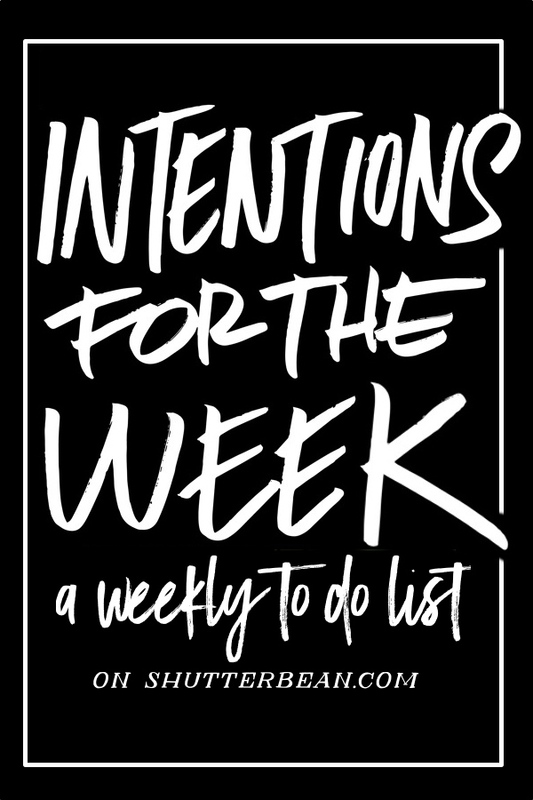 Add more if necessary. Serve immediately. I LOVE anything to do with b-sprouts. I am totally going to make these. Except maybe a bit less oil because that much hot oil/splatteryness scares me. Living in Brussels, I think everyone here should eat bxl sprouts at least once a week. 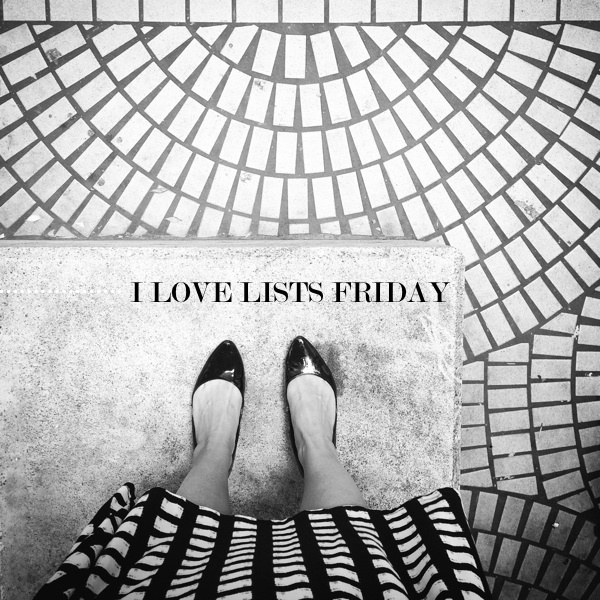 But I’m sort of biased. This is sort of problematic though as all of my British friends refuse to eat them any time of the year other than Christmas as it’s the go-to festive veggie this semester. Ridiculous, am I right? I’m all about giving the noble bxl sprout some reverent honor, but I’m also all about eating. All the time. Anyway, these look great! I might have to fry some up toot sweet as after all, ’tis the season, tra la la la! 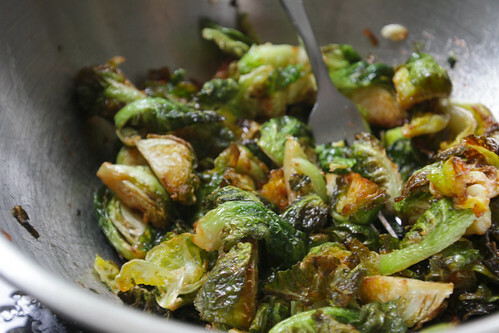 Have you tried Michael Symon’s recipe for Fried Brussels Sprouts? 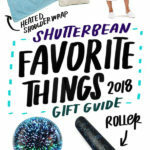 It is FANTASTIC, and just as easy to make! I don’t get brussels sprouts very often where I live, but when I do, this is my favorite way to make them! Crispy brussels sprouts have been on my ‘to-make’ list, so I’m bookmarking your recipe for future side dishes! I can hardly take this. OMG OMG OMG I freaking love brussels. 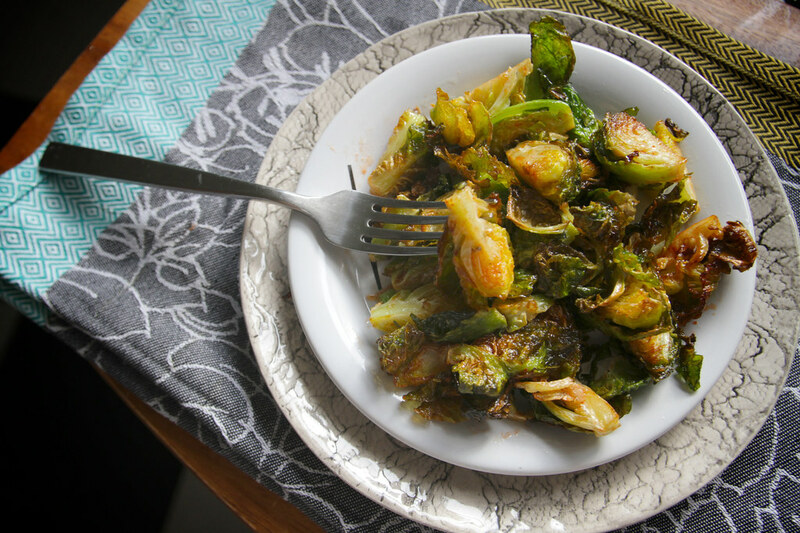 i love brussels sprouts so much, and you just found a way to make them more addicting! holy delicious! OMG I am soooooooooo making these ASAP! I love brussels sprouts… these look terrific! Ummmm, hello. I love brussels sprouts, but the hubs doesn’t. I think these might pass his test, as they look a-mazing. Plus I really wish that video did exist. I fear b. sprouts, but Man! You made me want to try!!! Ohh fried brussels sprouts are so tasty. The fact that the dressing had sriracha in it, has me sold that this is nothing short of amazing. I’ve been looking for a new way to do sprouts, this is definitely going to be it!! These are lovely! What a unique way to cook brussels sprouts! Oh man Tracy…. Oh MAN! My dietician just recently banned brussel sprouts from my diet…. why, WHY?????? Why must they be so bad for my tummy?!?! If you ever find an antidote to Cruciferous vegetables and IBS, please let me know????? 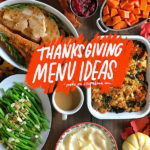 I love brussels sprouts in any shape or form, but think you might just have found the best recipe yet. These look absolutely gorgeous. I love frying them in garlic and chilli so can imagine the dipping sauce is perfect. Yum, yum, yum! I can’t wait to try this! I don’t have a spatter shield. I’m thinking I can find some improv materials. And I so identified with your description of the you tube video that wasn’t! I am often glad to be alone in my kitchen when cooking so no one knows what an absolutely spastic form of a human I am! I am lovin the dressing! Wow. I can almost taste all those flavors. I SO need a splatter screen. Thats my whole problem, I think. Grease everywhere!! Anyhoo, I am definitely not a brussels sprouts fan, but these are almost tasty-looking enough for me to try again. probabaly the sriracha…. Brussels sprouts are my favorite food! I would totally forward that video to everyone I know. I’m SO ANNOYED at myself! Went to the store and FORGOT to buy the brussels! GAAAAH! 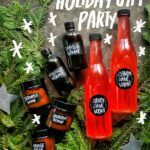 Will have to run into my town and pick some up since I have all the other ingredients. Oh and another thing – I’ve been landing my TV on the QVC channel. I hate myself, but they finally GOT me last night and I bought their 3 silicone splatter screens. Not only do they work for the splattering of food, but I can use them for a whole host of other chores in the kitchen. I’m kinda embarrassed for making the purchase but I THINK they will be a GOOD THING! You managed to put everything I love in one dish. I know what I’m having for dinner tonight. I’ll probably wash the sprouts now, and give them lots of time to dry… hopefully that will help with some of the splattering. these B.sprouts look delish – now I need to see a short Youtube clip of you preparing them. We can make it go all viral!! you are hilarious. that’s all. 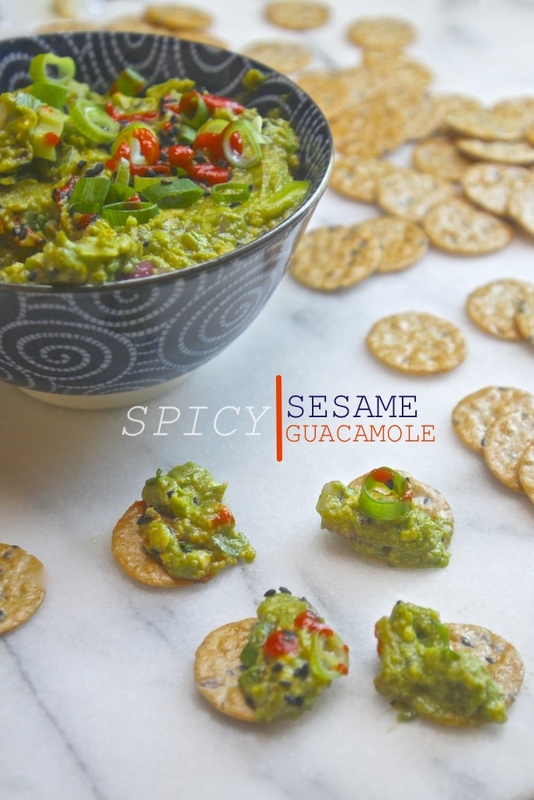 Thank you for risking your life to show us how to make these delicious looking veggie treats! 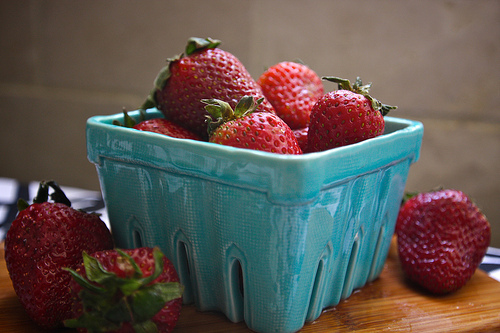 I just want to eat those right now! AHHH. Shut. it. up. 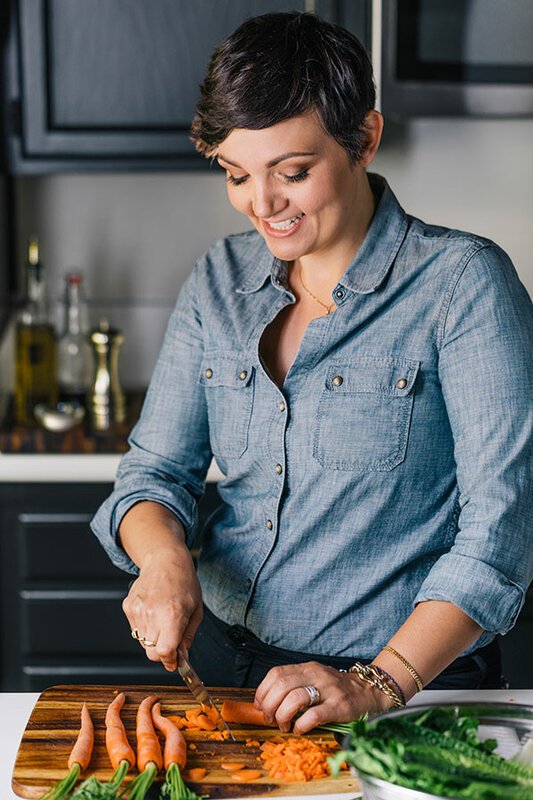 My love for brussels sprouts is so profound that I’ve considered (don’t make fun) of getting a one or two tattooed to my farm arm (it’s not as weird as it sounds) and now you’ve gone and made crispy brussels sprouts. My love is sure to abound and my tattoo will become inevitable. I blame you. I always will. But seriously, DAMN. I’m excited. Had these for Christmas Eve lunch – ended with Grandma literally scraping the bowl. Thanks! Go, Grandma GO!!! That’s so awesome. I always liked the look of brussels sprouts. They are so cute…little heads of cabbage. I don’t know what my mom did to them…but yuck. A few weeks ago, someone gave me a bag of these beauties. YUM! I found this simple but delicious recipe of roasting the sprouts. Even the leaves that fell off in the oven and were blackened were tasty. My new favorite vegetable? Brussels sprouts. Thank you for posting this technique. Next time I can get my hands on more sprouts, I’ll go for it! I made these again last night. They were fought over. There was lots of, “Look over there!” then sprout grabbing from plates. 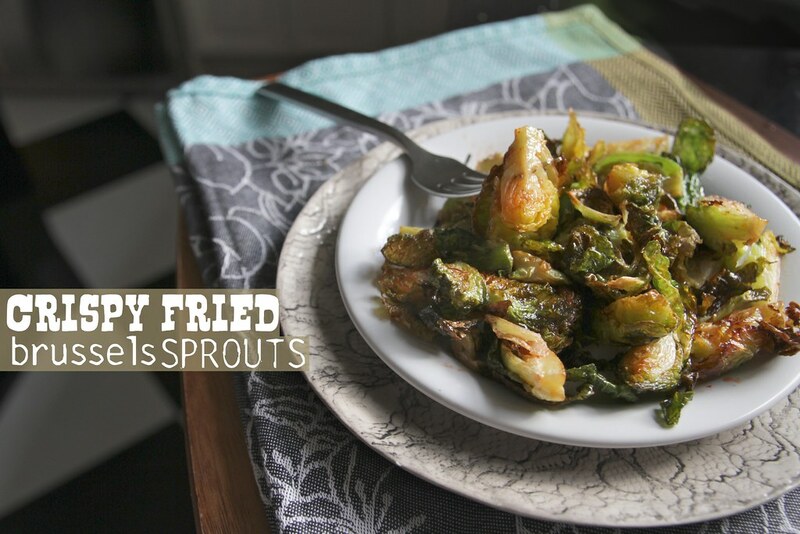 I had never heard of fried sprouts before reading this recipe so I decided to give it a try since I love hot/spicy food. Had the Sriracha and limes but no honey. I substituted a like amount of brown sugar. Fried them is a skillet in olive oil. until slightly tender (about two minutes on high). Ate the whole bowl and sopped up the remaining sauce with crackers. Damn that was good!! It did take a little more salt than anticipated to meld the flavors but so yummy! Next time will try following the recipe and see how that goes. Hard to improve on though! So these look INCREDIBLE – are they oily? Every time I try to fry b-sprouts (which is also what I so affectionately call them) they end up greasy. Those little buggers soak up a looooot of oil. Appreciate the help! They didn’t seem oily! They’re more tender than anything. Tender with crispy outside. If you have some paper towels to lay them out on, that helps greatly! I just made these yesterday. WOW they are so good. 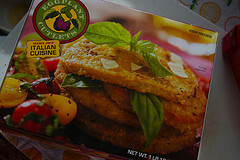 Our son said wow when he tried them. I had the oil very hot and they were not greasy. I did use lard to cook them in and then when done cooking placed them on paper towels. I laughed when I placed the first batch in the oil! yes it is hazardous for a few seconds 🙂 I got my husbands grinding mask ( like a weldors mask) to wear for the other batches. I was unsure of the sauce but made it and put it on half. I used a lemon didn’t have a lime. IT was a wonderful taste with the b-sprouts. I’ve tried a few times to cook brussels sprouts and they never come out exactly as I want them. 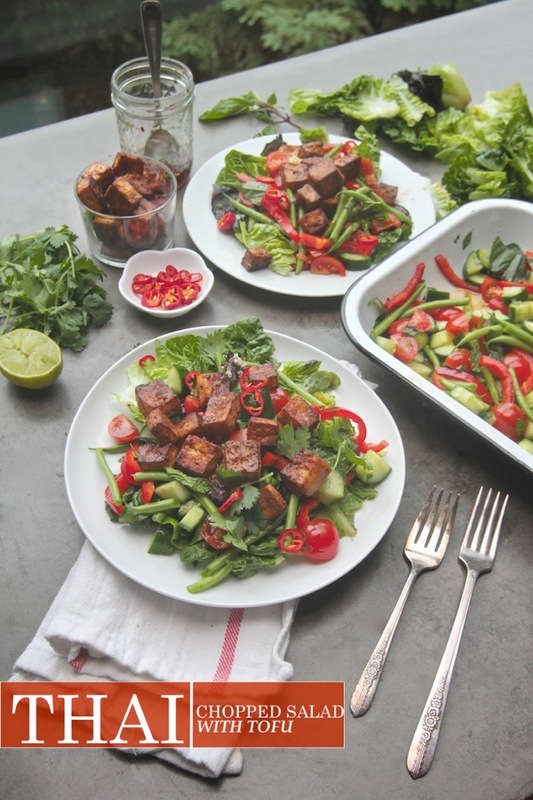 I tried your recipe last nite and your recipe was great – so delicious and perfect! My daughter enjoyed them as well. So from here on, this will be my go-to brussel sprouts recipe. Very delicious, I even had them for lunch today. Thanks for sharing your recipe. I also shared it with 3 other people at the office who saw my lunch and asked me how I made them! These were delicious! The sauce was amazing and we added some bacon to it to create the sweet/salty taste. Heaven. Thank you!